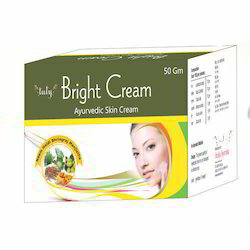 We are the trader of age lift creams which remove wrinkle from skin to make skin look younger. -Tested on subjects for firmness and elasticity measured by visual expert grading at intervals of seven days and 42 days. In 85% of subjects, improvement was seen in firmness/elasticity in skin under the eye at 42 days. An extra nourishing cream specially formulated to replenish the essential oils and moisture lost by the passage of times & years. - A gentle massage with finger tips in circular motion. Can be used as on over night cream also. - With all the herbal & oil combination fights against visible sign of aging. Wrinkle removal is one of the best treatments offered by Slimsity. Our proficient doctors provide best treatment service which helps to reduce wrinkles and deeper lines on skin. For this treatment, four to five sessions are required. Our treatments have attained great appreciation in the market. It help to remove wrinkles on face. Here's a beauty tip that all 35+ women will love to hear! Green Thompson Seedless Grapes have the same ingredients that wrinkle creams have. Cut a grape in half and gently crush it onto your face and neck area. Leave it on for 20 minutes then rinse off and pat dry. Repeat this every day and sooner or later you will be wrinkle free! Body Shaping, for Weight loss.